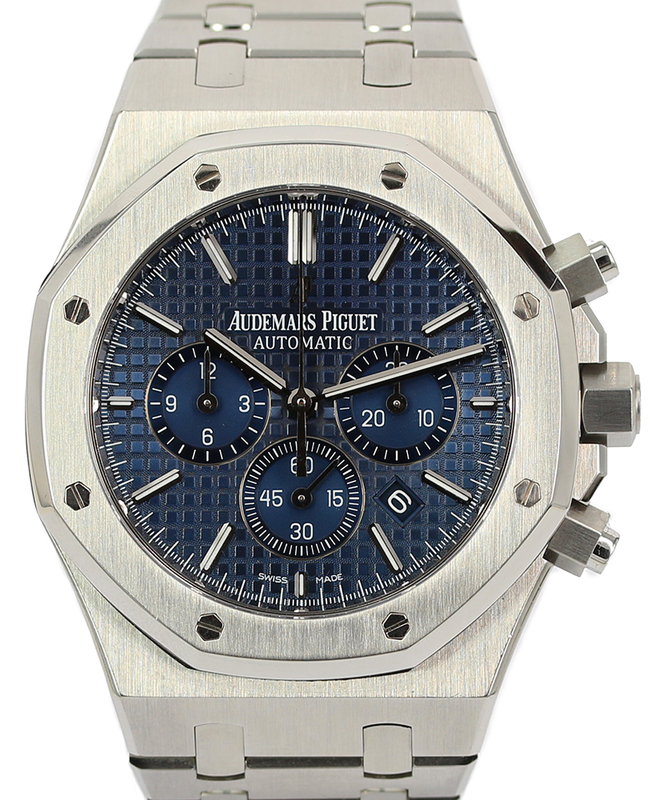 We are not the authorized dealers for any of the watch brands featured on this website. The brand new watches that we sell are identical to those supplied by authorized dealers and we act as agents for our clients in the purchase of watches ordered. These watches are sourced from authorized dealers and supplied with the manufacturer's international warranty and all associated packaging, instruction manuals and paperwork. We are able to source most Swiss watch brands and models of interest from our various worldwide contacts at competitive prices. All pre-owned watches have been given a full service and have been fully tested and examined by our watch making experts. We source our watches from existing customers who want to trade or sell their current watches and also from our network of dealer contacts worldwide. 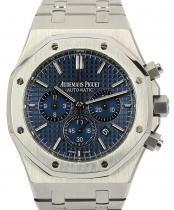 We only buy these watches directly from our clients or from established watch or jewellery stores. This may be extended to other individuals, but only with the necessary paperwork and receipts as proof of ownership. All our pre-owned watches come with a 12-month warrantee issued by our watch and service centres. Depending on the watch brand, we use a variety of watchmakers who have the necessary experience and are able to source only genuine parts or is the factory approved and trained service technician appointed for that brand. 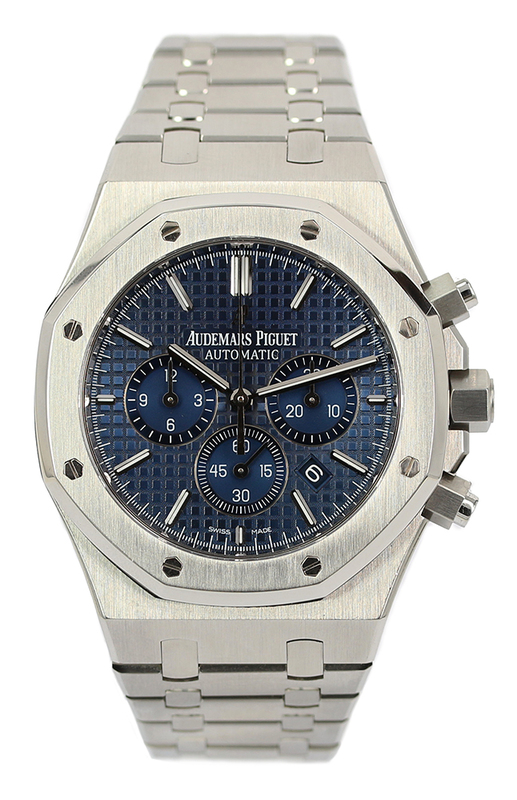 Whenever possible the pre-owned watches come with the original paper work or purchase receipts that show where the watch was originally bought as a record of pedigree. We also provide an insurance valuation as a certificate of authenticity on completion of the purchased item. Watch Description: Stainless steel case with screw down crown and pushers. Blue (Boutique) dial with “Grande Tapisserie” pattern, white gold applied hour-markers and Royal Oak hands with luminescent coating. Stainless steel bracelet with AP folding clasp.